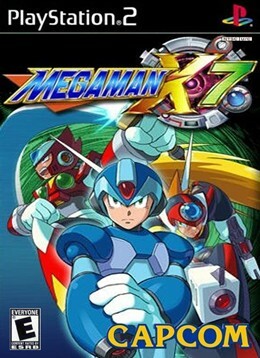 Mega Man X7 originated in Japan as Rockman X7 and was developed by Capcom for the PlayStation 2 console. Seventh in the Mega Man X series, it is the first with bilingual audio and the first in the series to be designed for sixth generation gaming consoles. The action takes place in the 22nd centruy when daily human life is in turmoil due to “Maverick” crime from the “Reploid” robots. The protagonist in earlier releases, Mega Man X, is a retired “Maverick Hunter”. In his place, various factions have evolved to fight the ongoing Maverick threat. Key in these new factions is Axl, a dissenting member of the “Red Alert” vigilantes now hunted by Red, his estranged leader.